Our free to access full paper is available here. I’ll update this post with feedback and photos after these events. Our Learning in the Network Age MOOC with FutureLearn is running again for two weeks from 24th July. You can sign up here. Here’s our review of the first running of the course. After 5 years in Chemical research alongside doing day release and evening classes ONC/HNC, then the last two years on an Honours degree, then two years of DMS alongside making Sharwoods Mango Chutney and other sundries – my early career was supported by almost continuous ‘formal’ learning whilst doing. A further five years of doing practical learning including managing of the manufacturing Pharmaceuticals for MSD and the setting up of a factory from scratch for making noise insulation for tractors. Then I made a planned change to Higher Education to teach Management. Within a couple of weeks, I realised nobody understood what was happening within learners’ heads, or what needed to happen to manage their learning effectively, as had been the case with my previous jobs. I used to have a sign above my desk – What can I get my team members to learn so they can do my job? – Important, as I needed, when getting the factory set up, time to be able to go on holiday with my young family. It needed to run without me for a couple of weeks. Fortunately, I was allowed, by what was then Newcastle Polytechnic, to go on the first ever MA in Management Learning at Lancaster University. It comprised week long face to face sessions spread out over two years with a major emphasis on reflection and research on my practice – learning by doing. It had a major impact on the way I did things from then on, as I realised that any good learning process had to recognise that every individual would respond differently and need some individual response and that often this was most effectively provided by other learners. I am retired now, but I joined the Networked Learning MOOC to explore, out of curiosity, what was happening now, and what were the new opportunities networked processes offered to support learning. I had managed the Open learning route and developed the mixed mode delivery of the MBA whilst at Strathclyde University. I was more than pleasantly surprised by how relevant my previous practice and approaches still were. Many participants were as desperate to improve what and how they did things, as I had been at the end of my first two weeks of being a lecturer. This is in my top two of Mooc experiences, because of the content, the engagement of the tutors and participants, and how involved and stimulated I was. The other one, for those curious, was one on Forensic Science which was learning by doing – using the forensics in a real case, but filmed at Strathclyde University’s (where I taught for ten years) premises on Loch Lomond. So, I am looking forward to helping more overtly with the learning this time, which I know will require patience and perception of what is needed. I’m a retired academic with many years of experience in teaching engineering subjects. I was lucky enough to join one of the original Massive Open Online Courses (MOOCs) on Connectivism in 2011 as a learner and since then I’ve participated in many other MOOCs. These have covered a wide variety of scientific and other topics and include a previous run of the University of Southampton’s, ‘Learning in the Network Age’. A large number of participants in a MOOC can make it difficult for the experts to divide their attention among learners. I volunteered to join the mentor team because sufficient numbers of mentors, who are also learners, can make a difference by helping and encouraging other participants. Those approaching online learning for the first time may appreciate some friendly assistance and mentors can also be useful in responding to frequently-asked questions and helping with the smooth running of the forums. Our latest course in the Web Science series of MOOCs is called Learning in the Network Age and it begins on 24th April. The course will be run by Lisa Harris and Nic Fair from the Web Science Institute and it includes contributions from a number of other university staff, students and alumni. The aim is to empower university students and staff around the world to develop their digital literacies and use their Personal Learning Networks effectively in order to maximise their lifelong learning potential. Since the introduction of the World Wide Web and its associated mobile devices, societies and individuals have become much more connected to each other and to information than ever before. The Web is no longer simply an information resource, but also a space for interaction and creativity through which learners can develop a network value, potentially on a global scale. In this world where knowledge is widely available, accessibility to it is determined and dependent on individuals’ ability to interact effectively with it. Therefore, from a very young age, we may best be characterised as networked individuals living and learning in a networked society, with our digital identity as important to our network value as our offline identity. As a result, within the educational context, the Web and digital technology are no longer merely tools for teaching and learning, rather they are an integral part of the learning process, much as pen and paper used to be. This has had a profound effect on the way we learn. It has changed how we find, use and store information; how we communicate and collaborate; and how we create, present and share our ideas. What it means to be a university learner in the Network Age. The impact of Digital Differences on our learning networks. Investigating what our Personal Learning Networks (PLN) look like and identifying patterns in how we currently use them. Growing our PLNs and assessing the reliability of online information and services. Managing our PLNs and our online identity. Activating our PLN for learning purposes. Exploring a wide range of digital tools to assist with growing, managing and activating our PLNs. The MOOC is being used as a revision aid and engagement tool for students studying the Curriculum Innovation module Online Social Networks this semester. Its impact in terms of added value to their studies is being evaluated as a case study for the Researching Assessment Practices (RAP) Catalyst A project led by Professor Carol Evans and funded by HEFCE. The MOOC serves the additional function of data collection for current PhD research, and it provides a clear example of partnering and co-creating with students, with implications for both REF and TEF. The research element of this MOOC is innovative because it does not collect data for research about MOOCs, which is common, but collects data for research into the subject area of the MOOC (Personal Learning Networks). This could become a new form of research methodology and provide these types of MOOC with an important future role for universities. To join the course or find out more information, check out the course page on FutureLearn, contact us via our Twitter account @uosFLwebsci or search #FLlearningnetworks on social media. 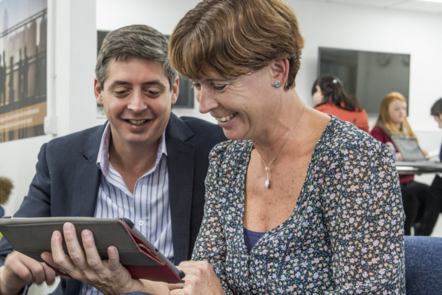 Click here for more information about all upcoming University of Southampton MOOCs. Looking forward to giving this presentation to the FutureLearn Academic Network meeting in Barcelona on the 27th Jan 2017 with Lisa Harris. All relevant feedback and comments greatly appreciated as always. The FutureLearn Academic Network (FLAN) Special Issue of the Journal of Interactive Media in Education (JIME) edited by Rebecca Ferguson, Eileen Scanlon and myself is out now and openly available online. It begins with an overview of all the work on MOOCs that has been published by FutureLearn UK partners. There are also papers on MOOC accessibility, adapting a MOOC for research, MOOCs for professional development, and the social-technical construction of MOOCs. Recently I presented with Student Digital Champions Tom Rowledge and Tom Davidson at the Social Media in Higher Education Conference held in Sheffield Hallam University. Actually, the two Toms did most of the work discussing their extended input to our Students as Creators and Change Agents (SACACA) project. @lisaharris @SBSbusprogs @digichamps @tomjdavidson @tdrowledge Really inspiring and well presented well done and thank you! After the EDULEARN conference earlier this month, the graphic below has been developed to try to represent the principles concerning a socio-technical approach to module design. This approach has been manifest in the ‘Living and Working on the Web’ module outlined in some of our earlier posts, graphics and videos. You can find a graphical summary of this approach here. Please let us know what you think about this and how the approach can be developed and improved.